located in beautiful Northern Delaware, offers a carefully edited collection and a range of styles that suit today’s bride. Here she will find sleek sophistication, fairy tale inspirations and modern moods. Luba Cawley, owner of Anastasia’s Bridal Salon, encountered a void and found an opportunity . In 2000, she was in search of a bridal gown with a busy retail career in town and time was not a luxury she could afford. She ended up settling on a gown that she liked (but did not love) at a bridal salon that did little but disappoint her after the deposit was made. An idea was born and, in 2005, after her job was eliminated and she was forced to reevaluate, she went forward with the business model that became Anastasia’s Bridal Salon. Five years later, she still feels that bridal shopping should be stress free (or as much so as possible) and honest. Anastasia’s mission is to work intimately with a bride-to-be and make the wedding of her dreams not only possible, but also attainable. Luba is a native Delawarean and in her free time, her family is her greatest joy. Amy Marta, is owner of Cutter Bugs LLC organizing company. In 2005 Amy created Clutter Bugs LLC with one simple vision, organizing everyday life. As a stay at home mother Amy wanted to continue following her dreams by starting her own business, but also raising her children. Amy has always been exceptionally organized and has a keen eye, so starting her own business was only natural. Amy has a passion for what she does; she not only organizes someone’s space but helps organize lives. “Organizing is a process, not a one day project”. These are words to live by and Amy shares this philosophy with her clients through her many techniques. She believes there is one very important piece to the organizing puzzle, prioritizing your space. More often than not we do not use our space in the right way; we misuse what we have to work with and then cluttering becomes the issue. Staying focused and energized is how Amy’s business has become a success. She likes to tell all stay at home mommies and women who have a passion for something, but are not quite sure how to start their own business that “with a dream and lots and lots of effort everything is possible.” Amy lives in Wilmington with her children Gabriella 6 and John 3. Amy enjoys spending time with her family and friends. Alice is a native of Wilmington, DE. She is the owner of Island Beverage Co. Inc., which is a distributor of fine teas and tea brewing equipment to restaurants and hotels in Philadelphia, South Jersey, Delaware, Baltimore and D.C. She has two wonderful children… son, Danny Bloom age 24, and her daughter… Natalie Bloom…age 23. She also has two lovely companions her Golden Retrievers…Dewey & Bella Alice enjoys dining out, cooking, boating, music, dancing traveling, and spending time with family & friends. She is also a faithful customer and big fan of Lady’s Image Dress Shop. 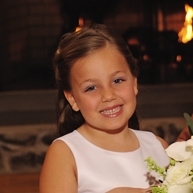 Gabriella Carney is a six year old first grade student at Immaculate Heart of Mary School. Gabby enjoys art, music and playing with her friends. She spends her free time doing gymnastics, swimming and playing softball in the spring. Barbara and her husband John Williams met back in 1983 while working at Taylor’s at Penny Hill Flower Shop. They are the curre nt owners of Belak Flowers for the last 13 years. Belak flowers have been in business for 56 years total. Barbara has worked at eight florist shops in the past 30 years. She stated that in 2010, they did 84 weddings, 384 bouquets, and 512 centerpieces. Of the 84 weddings that they did, 42% had Belak pr ovide them with centerpieces. Of the weddings that they provided flowers, for the average number of bridesmaids was 3.5% and 23% of the weddings were out of the state of DE. The number one bridesmaids dress color was black for the 4th year in a row. The stats on brides dress color were 44% wore white, 52% ivory, and 4% other. This varied from 2009 in that 59% wore white; 26% Ivory; and 15% wore a less traditional color. Barbara says that at Belak they keep abreast of the top trends in color and design, but will always maintain traditional values of service, quality, and top value. For more information, please call to make an appointment with Barbara Williams, President of Belak Flowers 302-762 -5000 or 888-762-8877; or email her at bgwbelaks@comcast.net. Belak is located at 832 Philadelphia Pike, Wilmington, DE 19809. You can also find more information at www.be lak-flowers.com . 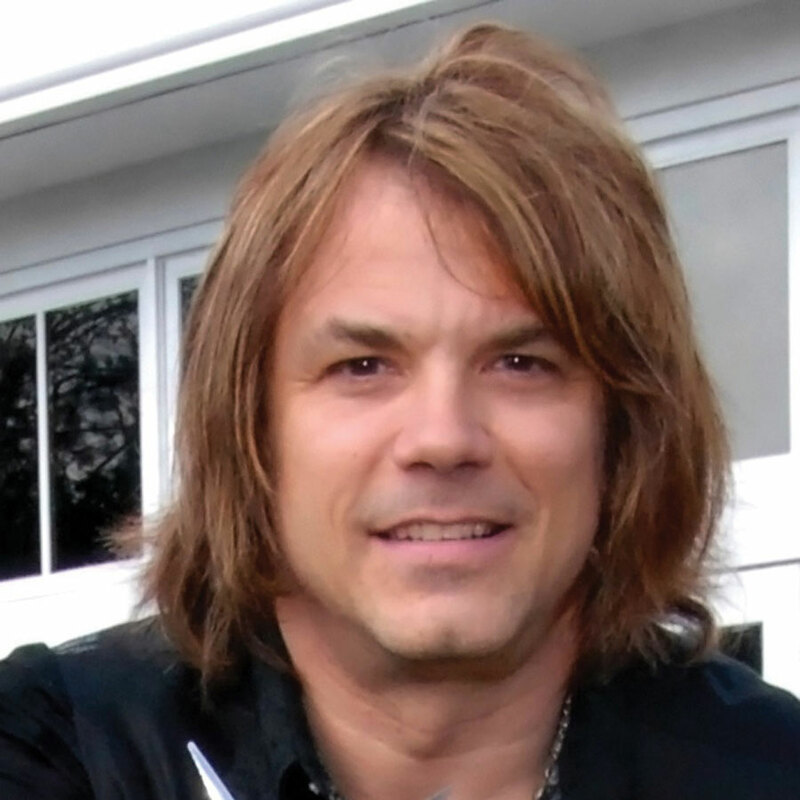 Royal Photography’s owner, Roy McDowell, brings a wealth of experience, both creative and business, along with an unmatched ability to put people at eas e, to every occasion he photographs. 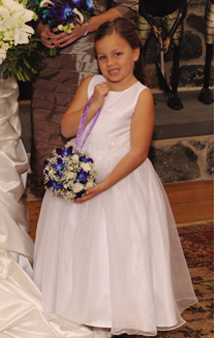 Flower girl dress and shoes were provided by Hansel and Gretel Children’s Shop located at Concord Pike and Silverside Road. Dress is by US Angels and the shoes are by Kid’s Dream. Heather Shafer has owned several Women’s Journal papers since 2001. She established her first paper straight out of college in the Boston area. She moved back to DE and worked as a partner with her mother for the next 5 years. Ready for a change of pace after 10 years in the business, she obtained her certification in WholeSelf Yoga and in Unnata Aerial Yoga. Effective April 1, 2011 Heather will be the proud owner of a new wellness and yoga center in Rehoboth Beach, DE. Heather plans to incorporate many of the wonderful practitioners that she has met in her years with the Women’s Journal in to her center. To find out more about Heather’s new venture, contact her at 617-721-6347. The beautiful Inn at Montchanin Village was the backdrop for our event. Liz Marden’s Gourmet Cakes and Desserts offer a wide range of scrumptious desserts, but they are known for their beautifully designed wedding cakes. 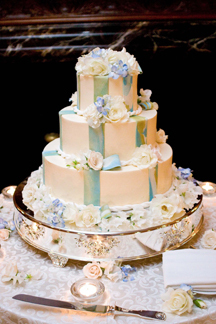 For Liz to begin designing a cake for a newlywed, she must meet with them and have a design meeting which is no charge. The client is given samples of cakes to take home and taste. With years of experience, Liz offers her clients many helpful design elements, and together they brainstorm ideas for the cake. ← Previous Story New at Lady’s Image In 2011! Next Story → Does Having Passion For Your Work Really Matter?